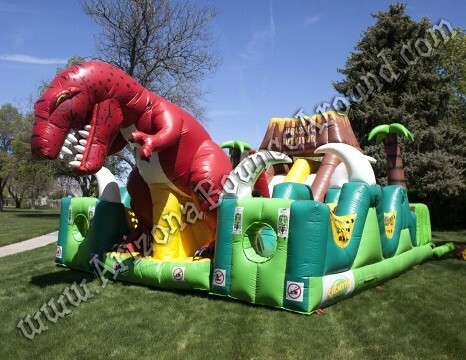 Our Jurrasic themed inflatable obstacle course looks amazing and features a 20-foot tall dinosaur in the middle, giant dual lane volcano slide, lots of climbs and dives, giant tusks and more perfect for any type of party or event, Dinosaur themed parties or as an advertising inflatable. 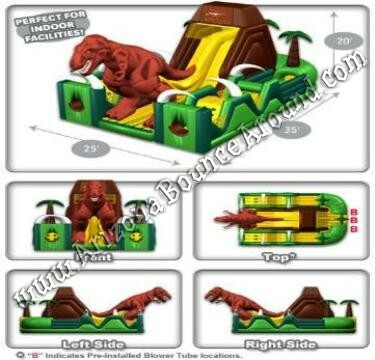 This Jurrasic themed inflatable obstacle course is perfect for kids and adults making it very family friendly with easy to climb steps on the slides. 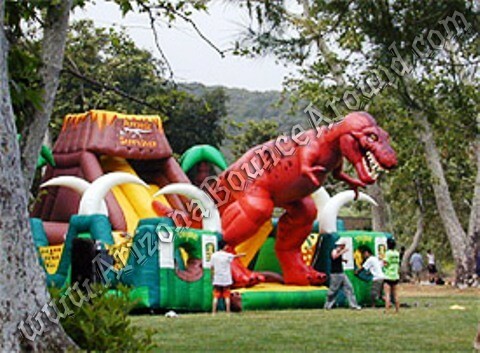 We have a huge selection of inflatable obstacle courses, challenge games, and activities for any type of events like our Wipeout Big Baller, Logrolling challenge and race tracks so don’t delay and start planning your next team building activities today with Gravity Play Events, the leader in high energy games & fun activities for kids and adults of all ages. 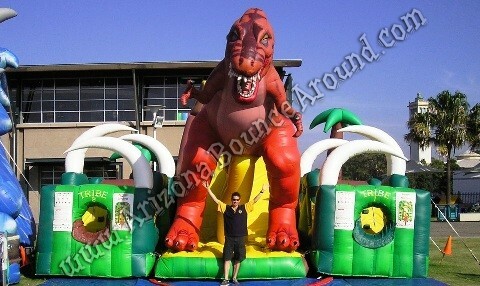 If you want to go even crazier than you can finish with our 51-foot tall water slide or freefall 28 feet on our stunt jumping airbag.